Joseph Conrad (born Józef Teodor Konrad Korzeniowski; December 3, 1857 - August 3, 1924) was one of the greatest English-language novelists of all time, despite the fact he was born in the Russian Empire to a Polish-speaking family. After a long career in the merchant marine, he eventually settled in England and became one of the most prominent novelists of the early 20th century, writing classics such as Heart of Darkness (1899), Lord Jim (1900), and Nostromo (1904). Notable Quote: "The belief in a supernatural source of evil is not necessary; men alone are quite capable of every wickedness." Joseph Conrad's family was of Polish descent and lived in Berdychiv, a city now part of Ukraine and then part of the Russian empire. It is located in a region that the Polish sometimes refer to as the "Stolen Lands," since it was taken from the Kingdom of Poland. Conrad's father, Apollo Korzeniowski, a writer and political activist, took part in the Polish resistance to Russian rule. He was imprisoned in 1861 when the future author was a young child. The family endured exile to Vologda, three hundred miles north of Moscow, in 1862, and they were later moved to Chernihiv in northeast Ukraine. As a consequence of the family's struggles, Conrad's mother, Ewa, died of tuberculosis in 1865. Apollo raised his son as a single father and introduced him to the works of French novelist Victor Hugo and the plays of William Shakespeare. They moved to the Austrian-held section of Poland in 1867 and enjoyed more freedom. Suffering from tuberculosis like his wife, Apollo died in 1869 leaving his son an orphan at age eleven. Conrad moved in with his maternal uncle. He was raised to pursue a career as a sailor. At age sixteen, fluent in French, he moved to Marseilles, France, to look for a career in the merchant marine. Conrad sailed for four years on French ships before joining the British merchant marine. He served for fifteen more years under the British flag. He eventually rose to the rank of captain. The elevation to that rank came unexpectedly. He sailed on the ship Otago out of Bangkok, Thailand, and the captain died at sea. By the time the Otago arrived at its destination in Singapore, the entire crew except Conrad and the cook were suffering from fever. The characters in Joseph Conrad's writing are mostly drawn from his experiences at sea. Three years of association with a Belgian trading company as captain of a ship on the Congo River led directly to the novella Heart of Darkness. Conrad completed his final long-distance voyage in 1893. One of the passengers on the ship Torrens was 25-year-old future novelist John Galsworthy. He became a good friend of Conrad shortly before the latter began his writing career. Joseph Conrad was 36 when he left the merchant marine in 1894. He was ready to seek a second career as a writer. He published his first novel Almayer's Folly in 1895. Conrad was concerned that his English might not be strong enough for publication, but readers soon considered his approach to the language as a non-native writer an asset. Conrad set the first novel in Borneo, and his second, An Outcast of the Islands, takes place in and around the island of Makassar. The two books helped him develop a reputation as a teller of exotic tales. That depiction of his work frustrated Conrad, who looked to be taken seriously as a top writer of English literature. During the next fifteen years, Conrad published what most consider the finest works of his career. His novella Heart of Darkness appeared in 1899. He followed it with the novel Lord Jim in 1900 and Nostromo in 1904. In 1913, Joseph Conrad experienced a commercial breakthrough with the publication of his novel Chance. Today it is not viewed as one of his best works, but it outsold all of his previous novels and left the author with financial security for the rest of his life. It was the first of his novels to focus on a woman as a central character. Conrad's next novel, Victory, released in 1915, continued his commercial success. However, critics found the style melodramatic and expressed concern that the author's artistical skills were fading. Conrad celebrated his financial success by building the house he called Oswalds in Bishopsbourne, Canterbury, England. Joseph Conrad suffered from a range of physical maladies, most of them due to exposure during his years in the merchant marine. He battled gout and recurrent attacks of malaria. He also struggled occasionally with depression. In 1896, while in the early years of his writing career, Conrad married Jessie George, an Englishwoman. She gave birth to two sons, Borys and John. Conrad counted many other prominent writers as friends. Among the closest were future Nobel laureate John Galsworthy, American Henry James, Rudyard Kipling, and collaborator on two novels, Ford Madox Ford. Joseph Conrad continued to write and publish novels through his final years. Many observers considered the five years after World War I ended in 1919 the most peaceful part of the author's life. Some of Conrad's contemporaries pushed for recognition with a Nobel Prize for Literature, but it was not forthcoming. 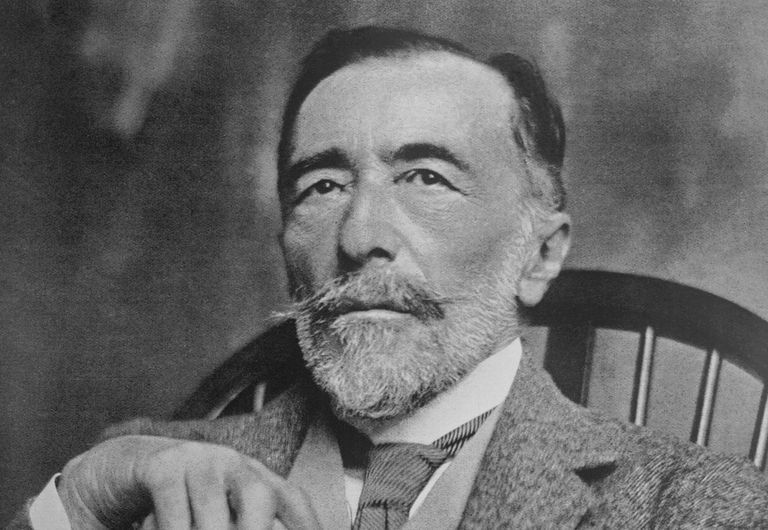 In April 1924, Joseph Conrad turned down the offer of a British knighthood due to his background in Polish nobility. He also turned down offers of honorary degrees from five prestigious universities. In August 1924, Conrad died at his home of an apparent heart attack. He is buried with his wife, Jessie, in Canterbury, England. Shortly after Joseph Conrad's death, many critics focused on his ability to create stories that illuminated exotic locales and to humanize sordid events. Later analysis has focused on deeper elements in his fiction. He often examines the corruption that lies just beneath the surface of otherwise admirable characters. Conrad focuses on fidelity as a crucial theme. It can save the soul and wreak terrible destruction when it is breached. 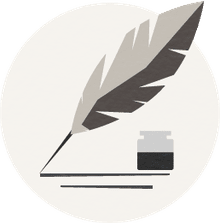 Conrad's powerful narrative style and the use of anti-heroes as main characters have influenced a wide range of great writers of the 20th century, from William Faulkner to George Orwell and Gabriel Garcia Marquez. He paved the way for the development of modernist fiction. Jasanoff, Maya. The Dawn Watch: Joseph Conrad in a Global World. Penguin Press, 2017.